What is Fair Claims Certification? OR, you can be certified by us for free! Just take our 12-Hour Courses #183 and 187. One each year for a total of 24 hours of CE before you renew your license. 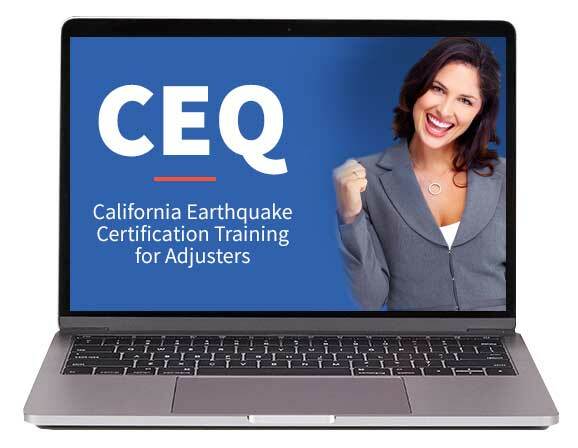 These courses give you BOTH 12 hours of CE and a Fair Claims Certificate at the same time! You need CE anyway, so here is a way to get Fair Claims Certified by a 3rd Party without paying extra. Note: Be sure you take a full 24 hours of CE before you renew your license. Read the Section 2695.6 Claims Training and Certification rules here. All licenses shall provide thorough and adequate training regarding these regulations (Title 10 Fair Claims Settlement Practices) to all their claims agents. Licensees shall certify that their claims agents have been trained regarding these regulations and any revisions thereto. However, licenses need not provide such training or certification to duly licensed attorneys. 4.) A copy of the certification required by subsections 2695.6(b) (1), (2) or (3) shall be maintained at all times at the principal place of business of the licensee, to be provided to the Commissioner only upon request. 5.) The annual certification required by this subsection shall be completed on or before September 1 of each calendar year. NOTE: Authority cited: Sections 790.10, 12340 – 12417, inclusive, 12921 and 12926 of the California Insurance Code and Sections 11342.2 and 11152 of the California Government Code. Reference: Section 790,03(h)(3) of the California Insurance Code.